What Makes a Good Medieval Romance? I loved it through its various stages. Helena, her heroine is goodly fierce and Guy her hero is as steadfast a knight as ever there was. It’s not fair for me to review it, being as close to both Sarah and her product, but I was thrilled to see other reviewers give it the 5 stars on Amazon it deserves. 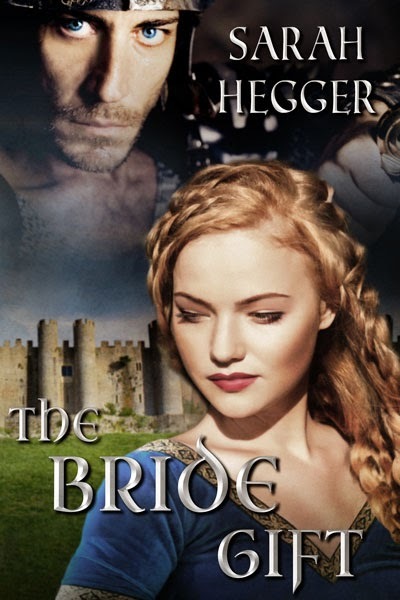 One of the reviewers mentioned The Bride Gift was the first medieval (she) had read. Well, you’ve got to have a castle. And a girl, either in the castle wanting to get out (like Rapunzel) or on the outside, wanting to get in (like Cinderella). Although in Sarah’s story, Helena is in the castle, in charge and desperate to keep it that way. There’s got to be a villain. Preferably one who is depraved in some way (wicked, murdering Ranulf in The Bride Gift) and completely irredeemable. Since it’s a historical, the facts and time period woven in should be sturdy. 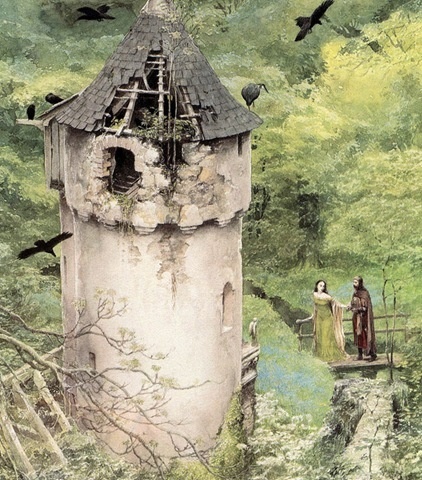 The backdrop for The Bride Gift is “1153, in the period dubbed ‘The Anarchy’,” when “King Stephen and Empress Maud are not the only ones embroiled in a fierce battle of the sexes.” The dressing (gowns, armor and mail) and setting (solars, castle keeps, forests and fighting fields) are all part of the enchanting backdrop. Lastly, it’s the relationship between the hero and heroine, isn’t it? The hero’s got to do knightly things, like scale a tower to access his lady love (First scene, first chapter, The Bride Gift), fight off the bad guys (check) and rescue someone (not necessarily the heroine) or something (it could be a basket of kittens). The heroine must display strength and spirit (so many good possibilities in The Bride Gift, and so many spoiler alerts). And the author twines them together (willing or no—not willing in this case) showing how they are better off. Thanks for this, really great blog, and all that you contribute to everything I write. So happy for your progress. So impressed with your talent and perseverance, Sarah! My friend and critique partner, who was there had the birth of The Bride Gift, shared her thoughts.